An expansion of the government’s Social Investment Tax Relief (SITR) scheme was announced in last week’s Autumn Statement. The total an SITR-qualifying enterprise can raise has now been increased to £1.5m. This is up from a previous limit of €344,827 (around £290,000 at current exchange rate) over three years. This is a substantial shift. So what is SITR, who stands to benefit, and why does it matter? SITR was introduced in 2014. It was established to encourage individuals to support charities, social enterprises and community businesses, by helping those organisations access new sources of repayable finance. Individuals receive a 30% tax break when investing in a qualifying enterprise. As such, SITR tried to level the playing field with tax reliefs which have long been available to more ‘traditional’ business. To date, charities, social enterprises and community businesses have benefited from SITR to the tune of approximately £3.4m. Analysts welcomed this figure when it emerged: this is higher than initial Treasury estimates. 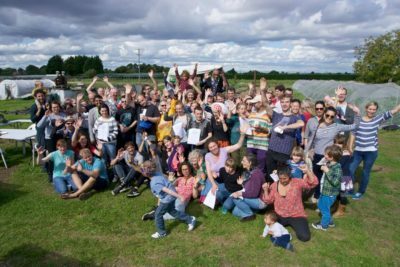 And of this £3.4m, it is estimated that £1.5m came from twelve deals which made investments directly into organisations — such as those using community shares, a model close to our hearts at Power to Change. By offering an income tax rebate to individuals making unsecured investments in asset-locked bodies, SITR can be an important incentive to invest in new and high-risk enterprises. And it could offer more choice to investors than either the Enterprise Investment Scheme (EIS) or the Seed Enterprise Investment Scheme (SEIS), both of which have become a mainstay of many community share offers. For many people, investment into community businesses, including community shares, are still a novel idea, bringing together the apparently polar opposites of retail investment and social purpose. Mention EIS and SEIS — which were not specifically designed for the social economy and will be unsuitable to many because they are unable to issue equity — and there’s a danger of reinforcing the confusion about whether community shares are for public benefit or private gain. SITR is clearer on this. It incentivises social investment, not investment for private profit. All community businesses require risk capital, whether this is to start the business, help it grow, or ensure it is sustainable. Traditional sources of income for local groups have diminished, though, and this risk capital has to come from somewhere. SITR can help stimulate direct, positive investment into community businesses. In many cases, investment by the very community the business is designed to serve. It’s not right for everyone, but raising the investment limit is a welcome way to look at increasing capital in community businesses while safeguarding their social purpose. Power to Change look forward to exploring the way this relief can be used to help unlock the right type of money, on the right type of terms, to help supporting the growing community business movement. The third window of the Community Shares Booster Programme is now open, find out more and apply here.